Introducing the Ideas Tile - just in time for the holidays! We're excited to announce a new addition to our growing collection of Tiles by Social Edge: the Ideas Tile! Our Ideas Tile lets you display your community's ideas in a dynamic and colorful way. 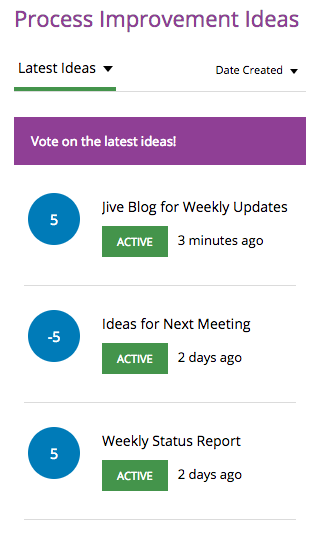 Highlight your member's great ideas on any landing page to promote voting and display the status of each idea. 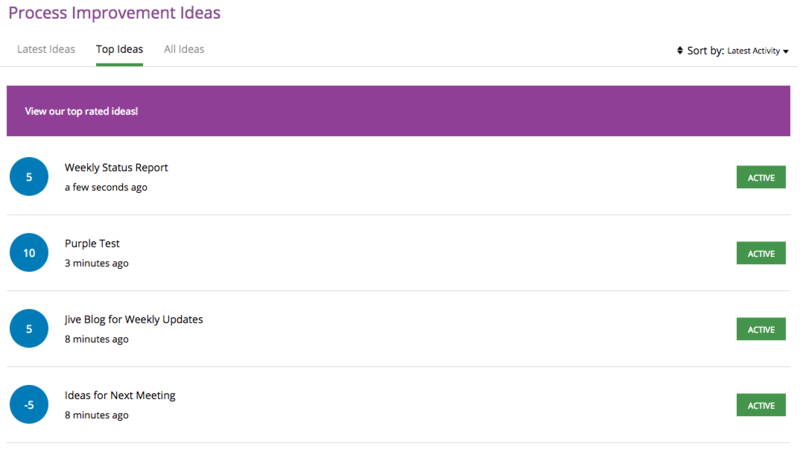 You can add visual tabs to the tile to organize ideas by stage, place, activity or creation date. This lets your users see recent ideas and their status at a glance. You can even create and apply additional place filters and dropdown lists to empower your users with multiple selections and options. With the easy-to-use configuration panel, you can adjust the look and feel of the tile, as well as choose which place(s) to pull ideas from, making it a significantly easier and code-free alternative to any of the existing the out of the box tiles. Don't forget - you can use this awesome tile any landing page, including the homepage, to draw attention to the latest crowdsourcing initiatives in your community. Interested in all of the tiles? Check out our Community Manager Tile Pack available now!